Roof problems can occur unexpectedly, even to newer homes. Keep an eye on your roof so you can spot early damage and have it repaired before a small problem turns into a bigger, more costly one. Here are a few important threats to keep in mind. If damage should occur, contact us your Roofer Newman GA for information and help. High wind is often responsible for causing roof damage. All it takes is a single large gust, and the roof may need significant repair due to lost or damaged tiles. Repeated exposure to high winds may cause gradual deterioration over time. Heavy rain, hail, or snowstorms can batter your home’s roof and cause holes that need patching or entire sections that need to be replaced. Left unrepaired, moisture that collects on the roof or beneath it can seep into the home and cause more widespread damage that will be harder to fix. Birds and small animals often make nests in or under the roofing. Some are able to make their way into the home’s attic or structure to cause extensive problems. It is important to ensure roof tiles and sheeting are secure without openings for animals to enter. Raccoons love to burrow in these areas, and bats sometimes make their home there, as well. Insects can cause damage, too. You don’t want carpenter ants or bees, along with other insects, eating the roof materials and causing problems that will be expensive to fix. It is a good idea to have the roof inspected periodically, perhaps annually, for evidence of insect infestation. Trees that overhang the roof, whether on your property or a neighbor’s, can occasionally drop branches onto the roof. Branches may fall due to rough weather, tree aging, pest infiltration, or blight. Homeowners should keep trees that stand near the home trimmed back to avoid damaging the roof and have any fallen branches removed as soon as possible. While it’s easy to take a roof for granted, they play an important role in keeping our homes secure. 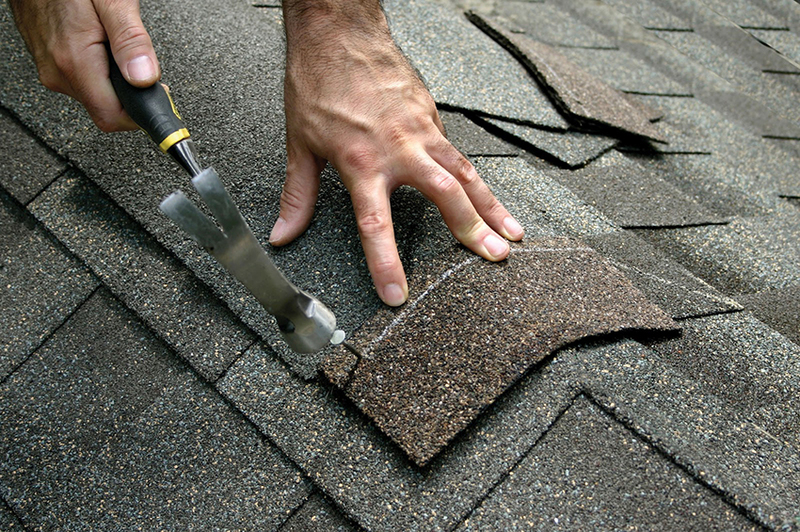 Regular inspections and minor repairs will keep your roof working in prime condition for years to come. ← Are Squirrels in Your Newnan GA Roof?